Ground Floor: Entrance and reception areas with wardrobe. From there you get to three very unique bedrooms with double bed. Every room has its own access to the private garden. Two spacious bathrooms are situated right beside the rooms. 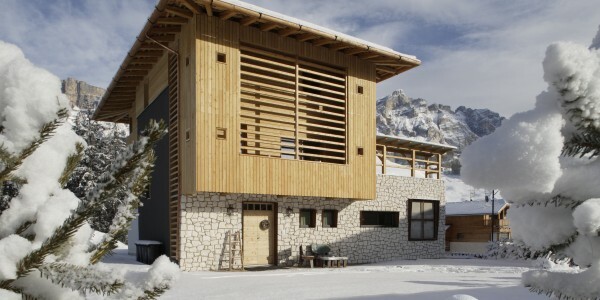 First Floor: central living room with an electrical fireplace and a wonderful view on the Dolomiti moutains. Fully equipped kitchen, a large bedroom with one double bed, big windows and en-suite bathroom. There is a large terrasse with a teak wood table to enjoy the sunset. Second floor: separate apartment with a large bedroom with a four-poster bed, a glazed shower and washbasin. Separate toilette with wash basin. Spacious living room with a comfortable sofa and an open kitchen. The balcony has a small dining table and offers a gorgeous panorama. To the side and behind the chalet, you can find a beautiful garden with a round, covered sun-bed as well as multiple with view on the forest and the mountains. In front of the Chalet you have the possibility to park your cars. 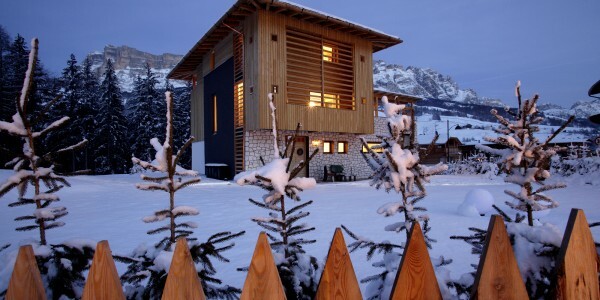 One of the few chalets in Alta Badia in a very central position. During summer the activities for active guests and nature-lovers are endless: hiking, mountainbiking, tennis, horse-riding, paragliding and golf. During winter, you may not only ski and snowboard, but enjoy cross-country skiing, sledging, horse-riding, ice-skating, heli-skiing and wonderful snowshoe walks. 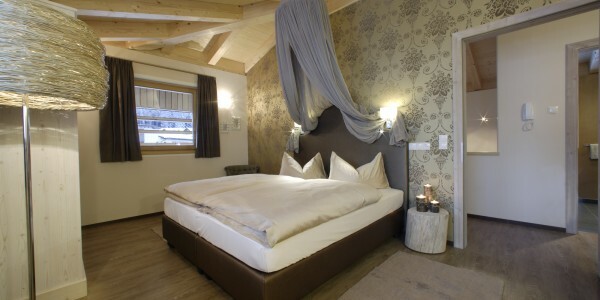 The Chalet is the perfect place for an informal and relaxing holiday surrounded by wonderful nature.